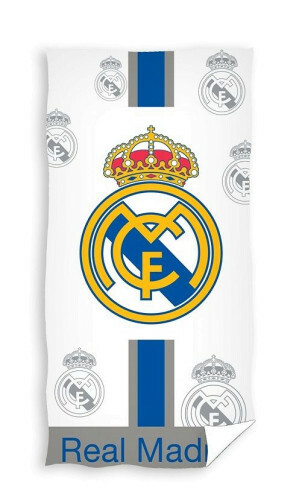 Towel from a branded Real Madrid collection with club badge. Perfect as both a beach towel, as well as everyday use. One-sided pattern. The towel is certified by Oeko-Tex Standard 100. Products marked with this sign have been checked in accordance with 100 strict research criteria and met the requirements of Polish and EU legal provisions regarding the safety of textile products. Oeko-Tex Standard 100 is a guarantee of high quality and safety of products used by people, and especially children.